“Let’s hear what Rex has to say tonight!” After all these years of interfering with a generation’s bedtime, Rex Murphy, speaker for the 2016 Bishop’s Company Dinner, won again. Rex kept us engaged despite the natural impulse, for back pew types, to catch a nap after a delicious meal. There’s always more going on at a live show. Nobody cut to a commercial when a young waitress hoisted a tray of dinner plates onto her shoulder and lost her balance. Three of the Bishop’s Company sprang to steady her and all the plates and leftovers she was straining to carry. They continued on their way, not needing praise or thanks. 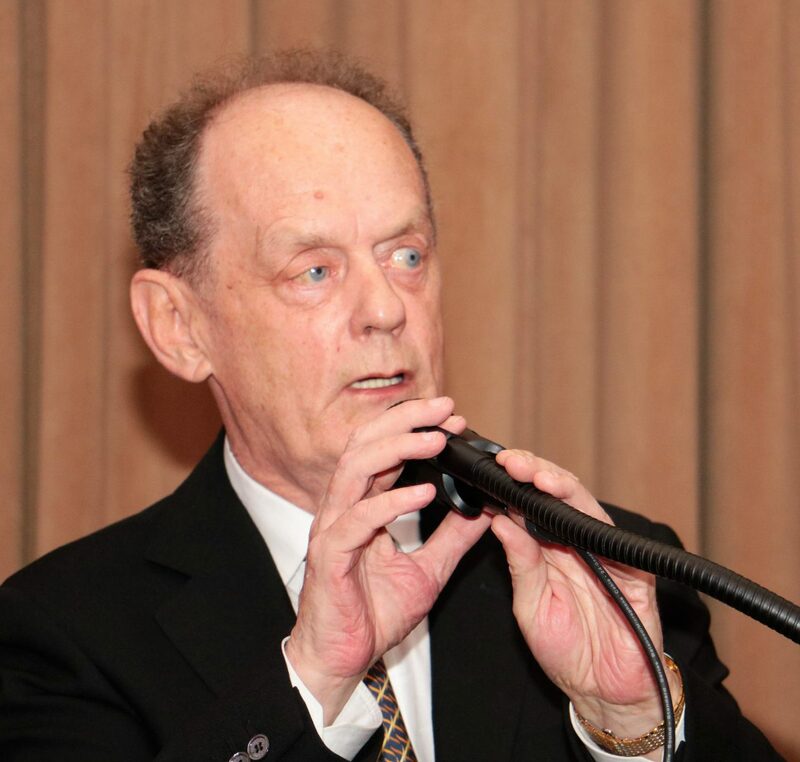 In his entertaining, free-wheeling style, Rex Murphy lived up to that tribute. Connecting stories of Barbara Winters’ compassion in Corporal Nathan Cirillo’s dying moments on the steps of the Ottawa cenotaph, Western farmers’ gratitude for Newfoundland’s generosity during the Great Depression and Newfoundland hospitality to thousands of stranded international travelers on 9/11, Rex sought to illustrate the essence of what it is to live in this country, Canada. Conscious of his audience, Rex stressed that this national impulse stems from the core value of the religious system that, over time, has embedded itself in the DNA of the entire culture. To help others is the essence of the religious impulse and in Canada, a nation of small towns and regions; the strong sense of community fosters that desire. We are a nation conscious that everyone is our neighbor. Rex mused that this national virtue has become a habit and then he took it even deeper. As he noted in his conclusion, the whole point of the Bishop’s Company that very evening—to raise funds for clergy and laypeople in financial need—enacts the national core value of caring for one another in every Good Samaritan gesture. This is the Canadian, the Christian that we claim to be. We are the Bishop’s Company in budget and mission statement, existing to help others. The miracle is that we, church and nation, do get it right, much of the time. Barbara Winters confessed our shared faith in love that proved to be Nathan Cirillo’s last rite. “Truly, a Pietà moment.” Our cathedral provided the structure for the huge numbers of people who needed to mourn and to establish a sense of meaning in the face of the senseless act of the lone gunman. At the beginning of his speech, Rex quoted Samuel Johnson, the eighteenth-century poet and man of letters, author of The Dictionary of the English Language: “People need to be reminded more often than they need to be instructed.” In doing just that for us, Rex Murphy gave voice, as Max Woolaver said he would, to our national and spiritual character.